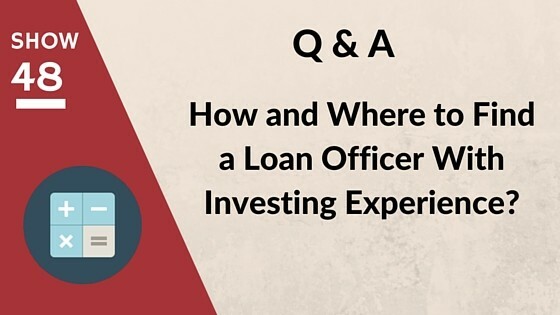 Today's question comes from a member of our Private Facebook Group who is looking to learn about how to find a loan officer to help in his investing journey. Emily and Kirk discuss why it's important to understand the difference between a loan officer and a certified mortgage planner (CMP). This distinction could help you find the right person to help with your financing options. They also share a resource on where to find a CMPS and what you should take with you to a discovery meeting with a potential mortgage planner. Wondering What Avenues You Have for Financing Properties? Check out our financing module to learn how to get into properties with little money down, why cash can close deals and how to determine your qualifying ability before you ever talk to a bank.